Join us May 11th from 9:30am to 1pm for an awesome day filled with outdoor Co-ed classes and some great vendors! We are more than a Gym and more than a Gym Membership - we are a Community of Women dedicated to helping you succeed! We have developed a Fitness Facility that offers choice: from Cardio Training and Strength Training, to Group Fitness Classes including Zumba, Yoga, Ride, Barre, Bootcamp and Pilates. 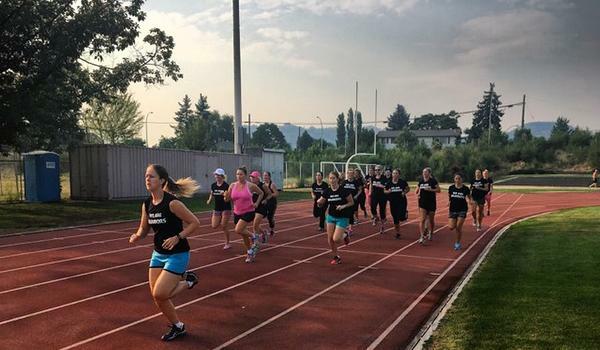 In fact we have some of the most diverse Group Fitness Classes in Kelowna with Classes designed for all levels of fitness and interests. We want you to achieve your health and fitness goals so we've even considered the little things (and taken away excuses) ... things like our on-site Resigstered Massage Therapist, On Top Brow and Lash Co., Child Minding, Infrared Sauna, and our Snack Fridge and Smoothie Bar. Wrap all of this up in our bright, colourful, modern facility and experience why TWP Fitness is the first choice for ladies fitness in Kelowna! Check out and print our WINTER SCHEDULE! Want to see sneak peaks of our Group Fitness classes? TWP Fitness is not your usual gym experience. The energy is positive and uplifting and the staff know you by name. You're always greeted with a warm hello- and even in your workouts the staff are there to give you a little boost of confidence. You're part of their tribe and not just another member! If you're looking for a place that always keeps things fresh- you found it! They have excellent and challenging programs for all levels. I've participated in a number of programs and my bod is totally grateful for it. Finally, let's talk ownership. The Kolar's and Munro's take great pride in their fitness palace. You'll find them broom in hand mid push up, I swear. They keep the facility clean and always ensure members are well taken care of! 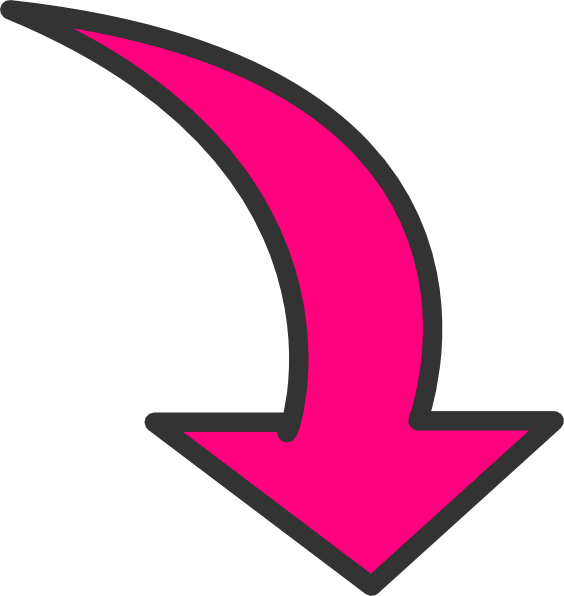 They join up with charities in the community and support other local businesses. Okay, I'm almost done gushing, but finally, they truly make sure that members get advice to achieve their fitness goals. They hold countless seminars, talks and workshops to help facilitate an overall health. I mean, what more can you ask for? If you're looking for an all encompassing fitness experience where you're not just a swipe tag- then TWP is your new gym! The versatility and variety of programs and group fitness classes available at TWP Fitness are the reasons I chose to become a member. However, it's the way the staff and my fellow members embody healthy living that keeps me coming back. The motivation and inspiration are contagious! I originally joined TWP as I was looking for a new place to workout, and I was attracted by all of the classes that were offered. What I didn't realize was how much fun it is to go! I have made many friends and look forward to seeing them each time I'm there. All of the staff are welcoming and extremely helpful. 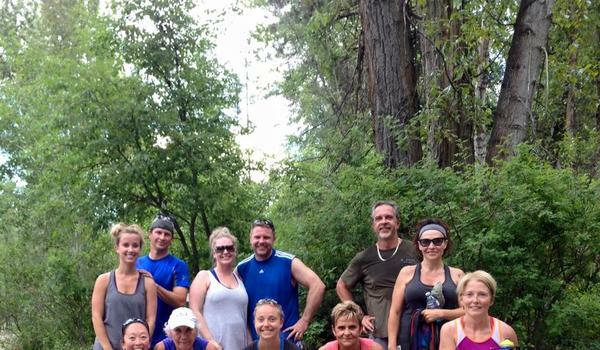 Exercise is not a chore at TWP, it's a social event! I have been a member of TWP for approx 18 yrs. When I first joined, I was new to the Kelowna, raising three young girls and in school fulltime. Over the years, I have not only valued my early morning workouts, but have developed life time friendships. TWP staff goes above and beyond to help you achieve your personal goals. TWP has not only been “my gym” but also my three daughters’ gym and more recently my grandchildren’s (daycare). I have been a loyal member of TWP Fitness for the past 6 years and I have always been impressed with their exceptional customer service. 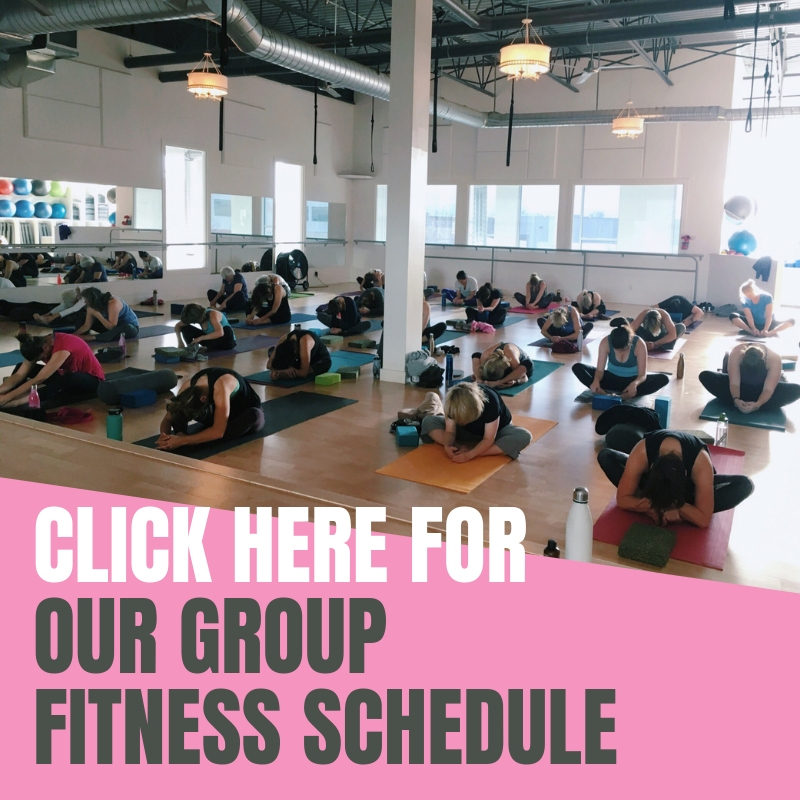 The group fitness schedule is excellent and has a variety of great classes for all levels. The instructors are amazing and very knowledgeable - they know just how to motivate us to attain our fitness goals and push us to the next level. The new facility is gorgeous; it’s really bright and airy and the equipment, group fitness room and locker room are always clean and well maintained. I really appreciate how TWP offers a wide variety of services to their members – things like personal training, nutrition seminars, outdoor boot camps, child minding, spa services, an infrared sauna and even a smoothie bar! What I feel makes the biggest difference between TWP Fitness and other local gyms is that the staff have a genuine care and interest in ensuring that their members are successful on their path to health and fitness. They are constantly looking for ways to improve and make their facility the best in town – and it really shows! Regardless of if you are just starting out, or you have been coming for to TWP for years they make you feel very welcome and provide a positive and healthy environment for you to get your sweat on!